Shiv Aggarwal was born in India, received degrees of B.A (Hons) from University of Delhi and Master of Social Work from M.S. University of Baroda. He came to USA in 1956 for further studies, and received MBA from University of Missouri. He has spent about 60 years in Cleveland, OH as a Community Organizer and helped the communities in need such as Hungarian, Slovak, Italian, Slovenian, African, Appalachian & Indian Students. He organized Area Council to develop leadership among the residents so that they could solve their own neighborhood problems. During the 1956 Hungarian Uprising, there was an influx of immigrants. Shiv coordinated their massive re-settlement. During 1960’s, Cleveland became a tinder box of violence. In 1966, the worst violence took place around the school in its history; the Governor dispatched National Guards to control riots. Youths were dropping out of school and were involved in gang activities. There were constant clashes among youths, adults and police. Shiv organized Collinwood Youth Association, and embarked upon a massive outreach to involve youths & adults in meaningful activities. He broke up constant gang wars. One wintry night, they planned to commit a major crime. He reached their den and talked to gun wielding youths, who put a gun on his temple…..shouting kill him kill him. But he convinced them to abandon their plans. On occasions, Shiv saved them from the Juvenile Court actions; then, he devised a landmark Last Chance Rehab Program, which became a model for Cleveland. That was the beginning of gang break-ups. Shiv was constantly raising substantial funds; became one of the best fund-raisers. He expanded his community services and founded Collinwood Community Services Center. His leadership and administrative skills were recognized by Board of Trustees, Mayor of Cleveland at a civic function in City Hall, Ohio State Governor & Senate, Cleveland City Council. Shiv was interested in the unmet needs of Cleveland Community. He developed an innovative outpatient mobilhealth clinic (Doctor on Wheels) for elderly who were on fixed income, had no access to doctors, suffering with chronic illnesses. He procured a large van, fitted with equipment and an examining room; which was driven to congregate housing with an attending doctor and a physician’s assistant. Many elderly patient were treated, their quality of life improved; that alleviated the need for expensive emergency room visits and un-necessary institutionalization.. This pioneer project was the success story of Cleveland. During 1990’s, HIV/AIDS epidemic broke out in the USA; the need for infection control was identified. Shiv founded Raymar Medical Corp. to distribute latex gloves to schools, correction institutions, medical & janitorial personnel. Since there was an acute shortage of gloves, Shiv assisted in setting up a glove manufacturing factory in India, and then imported for distribution. When the goal was accomplished, after two decades, Shiv stopped distribution and donated supplies worth $500,000 to charities for use in Africa & South America. 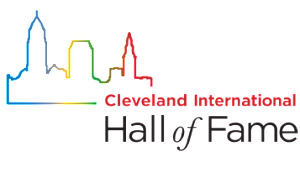 Recently, Shiv was a keynote speaker at the Asia Pacific Heritage Day and received a citation from the Mayor of Cleveland. Shiv has been married to Saroj (an Ophthalmologist) for 55 years. His son Dr. Sandeep married to Dr. Neelum who have two sons – Rajan & Ashwin. 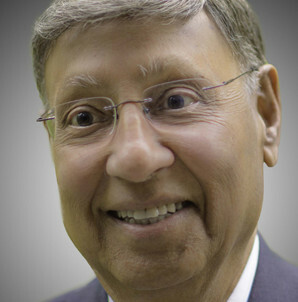 His daughter Sonali is married to Dr. George Dass. They have a son Shaun and daughter Sabrina.